One of the greatest spiritual classics ever written, this influential autobiography has been translated into nearly every language, capturing hearts and minds around the world. Simply written in clear, enchanting prose, this memoir reveals the path to true inner peace, for "Our Lord needs from us neither great deeds nor profound thoughts. Neither intelligence nor talents. He cherishes simplicity." Born in France, young Thérèse Martin (1873–1897) entered the Carmel Convent of Lisieux at the age of fifteen. Also known as "the Little Flower," her autobiography, written at the request of her Carmelite Superiors in the last years of her life, includes poignant girlhood recollections and her teachings of "the little way of childhood." The "little way," inspired by the Gospel, places love at the very center of every action we take. 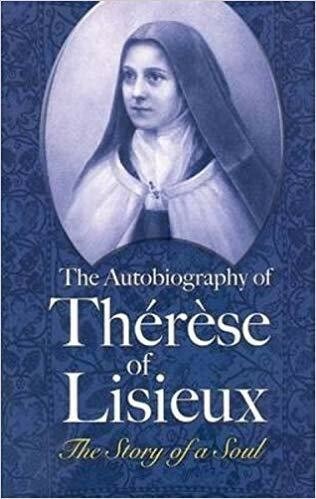 Traditional yet unique, delicate yet heroic, Thérèse taught a shining spirituality that could easily be adapted into everyday life. Her divine words of acceptance and love are universal, and have gently led many people — both within the Catholic Church and outside of Christianity — back to their faith.